I wouldn’t have done anything like running for Congress if I hadn’t learned to pray. I covered that in Part 1 of this series which you can read here. But the point of this new article is, prayer should move us to ACTION at some point. What do we do when we feel like we need to do more than pray? When we pray, we connect and care about something or someone more than we do ourselves. Prayer in its true form is ultimate unselfishness. 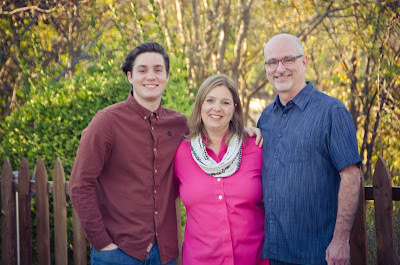 When I pray for my husband and my sons, I care for them deeper because I am connecting my heart to them through prayer. This action turns around and creates more love in my heart for them. It just happens. When I pray for my clients, I care more about their lives and want to serve them with more fervor and integrity. Prayer changes our hearts. If you want to love more, pray more. If you want to pray more, ask God for love. It is a circular cycle that produces growth and longevity. In the end, prayer should provide a change in our hearts, where we have to act. I believe if the Church really starts praying for our nation and our state, not just giving that discipline lip service, but actually praying- it will produce something in our hearts that will cause us to impact our culture. There will be something in us that will want to take responsibility for the decay in our world and DO something. Again, if we pray. I ran for Congress after ten years of political activism in my city and our district and I truly believe that prayer led me to that action. There is a question for all of us here though- once we learn how to pray for our nation each day and in an intentional way, how do we move to the next step? I truly believe we can change the world if we do three simple things when it involves our civic duty and political activism. If this race that I just went through has taught me nothing else - it is that these three things HAVE to happen to move the needle in our political culture. Can you imagine a world where Christians voted in every election and took our right to vote, enshrined in our Constitution and a right fought for by patriots before us, extremely serious? What if we, who seek discernment and wisdom from God, actually weighed in with a simple vote to impact our cities, our state, and our nation? During the last Presidential election, it is estimated that 60% of Evangelical Christians voted. 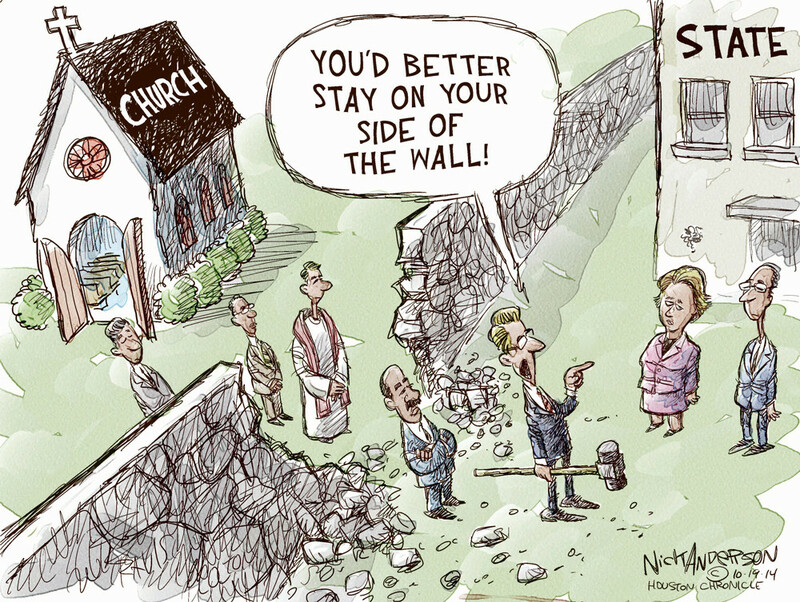 It was said to have been a huge victory for Christians in America. But here is a question, where were the other 40% of “born again” Christians? Where were the full coalition of values voters who are strongly pro-life, pro-family, pro-liberty? We influenced an election - but can you imagine if we had ALL participated? 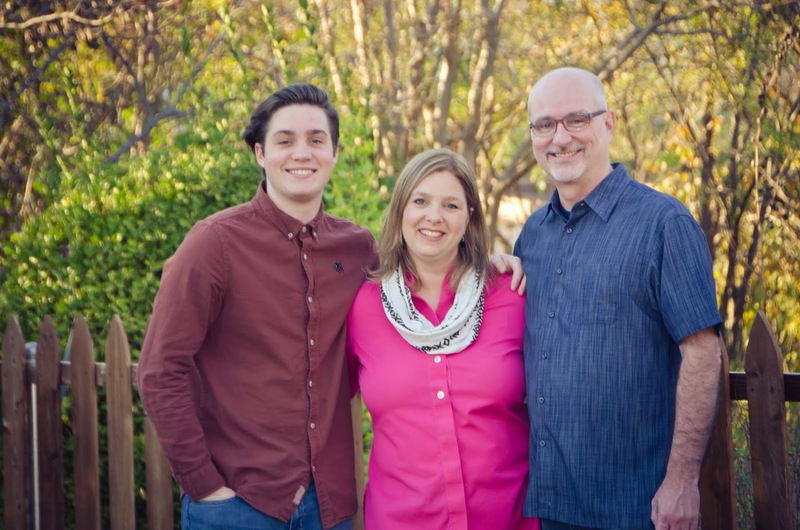 In my city in Garland, we recently had a mayoral election. In a city of over 230,000 people, our new mayor was elected in a field of three people by only 1700 votes. Only 5000 votes were cast in the whole race which is only 1% of the population of our city. Where were all the church goers? Where are all the members of First Baptist Garland, First at Firewheel, First United Methodist, and so on? I guarantee the amount of people who go to church in our city is at least 30% at a minimum. What would happen if we all showed up at the voting booth during a city election? 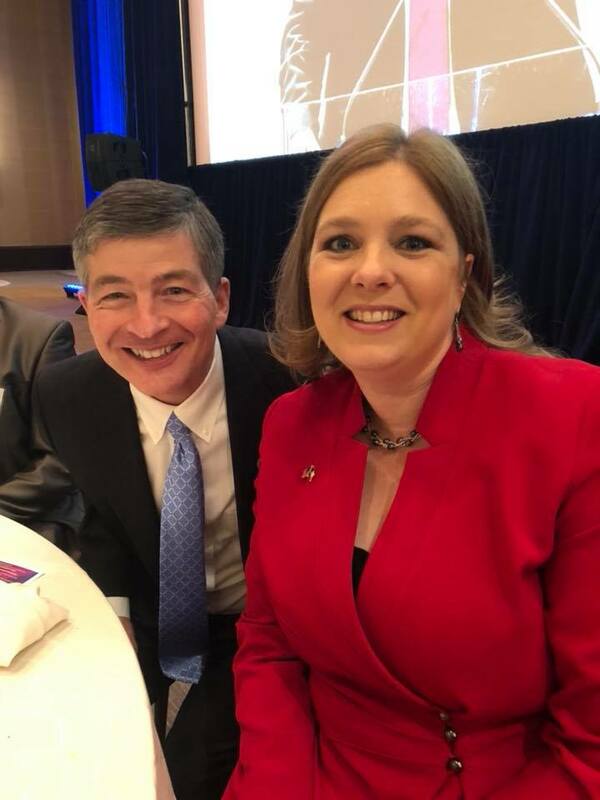 When I first started working for Congressman Hensarling ten years ago, there was a mayor in Kaufman who was elected by only one vote. 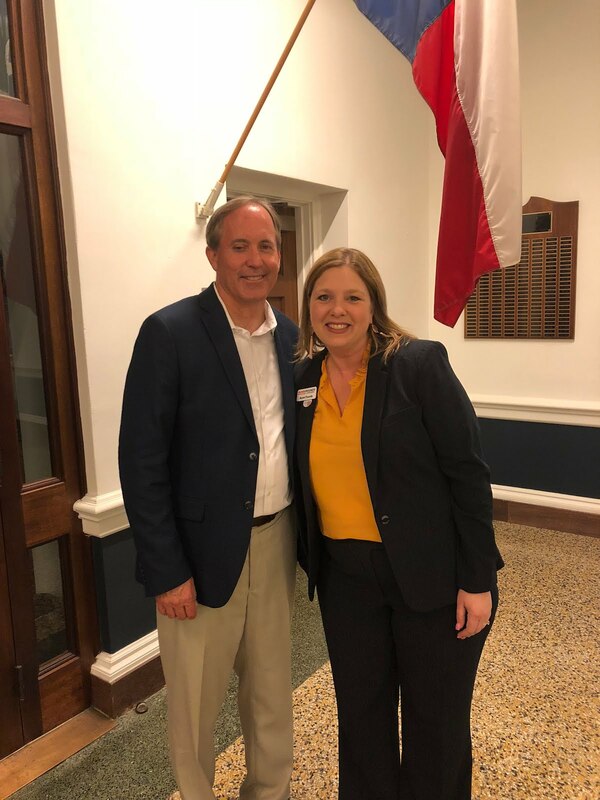 I called Dr. Fortner "the one vote mayor". Who says that one vote doesn’t make a difference? In the Bible - it talks about how we ,as the children of God, are going to rule and reign with Jesus in the new heavenly kingdom. We are designed in our “new creation” DNA to be leaders and to be light and salt. If we used this in the sphere of voting only, we could change the world. I was privileged to be in 17 churches during my Congressional run. 17 bold pastors either acknowledged me from the pulpit or had me speak for 5 to 10 minutes to their congregations. I am forever thankful to them for believing in me and/or giving their congregations some education on the political world. 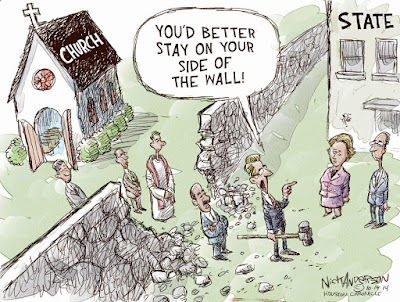 Without analyzing the complete membership rolls of those churches in the district, I can tell you pretty frankly that if all the members of those churches alone had showed up to vote in the Republican Primary Runoff, it would have been a different story. Numbers matter in elections and our commitment to let our voices be heard should be a big YES in our hearts. If we, as individuals, committed to voting in every election, we could change the world. All of these elections are important and we have a responsibility to be light and salt in our nation by picking our leaders. We can make a difference! Will you take the pledge with me to vote in EVERY election? Moving to the other side of the curtain so to speak, going from a political activist and consultant to being the actual candidate has changed my perspective on how important volunteers, donors, and people who truly care about the candidate are to their lives and their mission. I cannot underestimate the power of one voice, one life, and one volunteer in the life of a candidate. When they are putting their lives, their livelihoods, and their families on the front line of the battle, those people walking beside them mean so much. In my race I had many heroes, but I want to highlight just a few of them here. My friend and fellow activist, Doc Collins, leader of the Edom Tea Party in Van Zandt County who has fought against bone cancer for a few years. 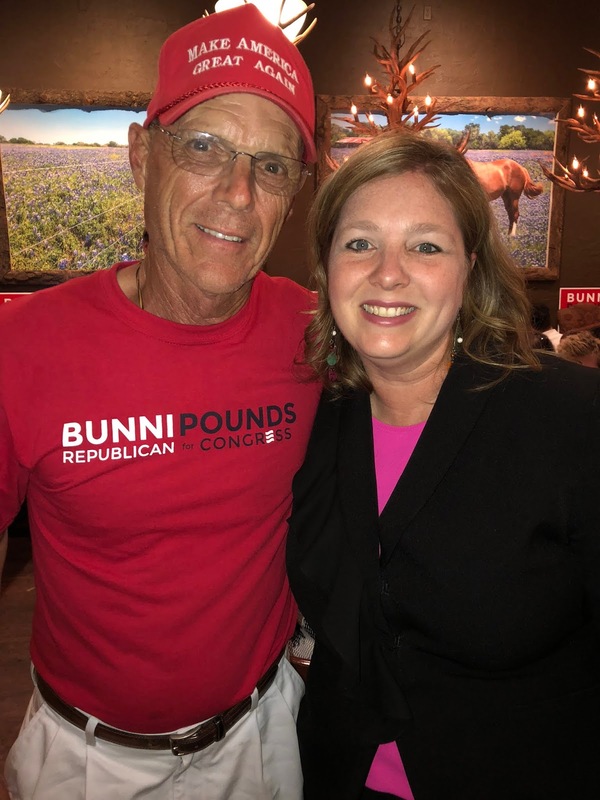 He went and had a chemo treatment on the Monday of early voting during the runoff - but was at the polls on Monday afternoon and every day through Friday with his “Bunni Pounds for Congress” sign - faithful to support and to talk to voters about why they needed to pick me for the good of the country. Pastors Ron and Kay Rose in Cherokee County who had only supported Congressman Hensarling before but we had become friends through the years in our work for him. They got hooked on helping me in my race. They hosted events for me during the Primary and the Runoff, they were my yard sign coordinators for the county, and blessed the campaign with resources for our cause. They also had me in their church. I will never forget what they did for me. They are precious, precious, precious people. A beautiful lady named Ruth York in Cisco, Texas (nowhere near our district) sent me a card a few days after my loss. It was a special card. I met her a month or so later at an event and she hugged me and told me that she prayed for me every day of my race. I believe her. I felt her love in that hug. 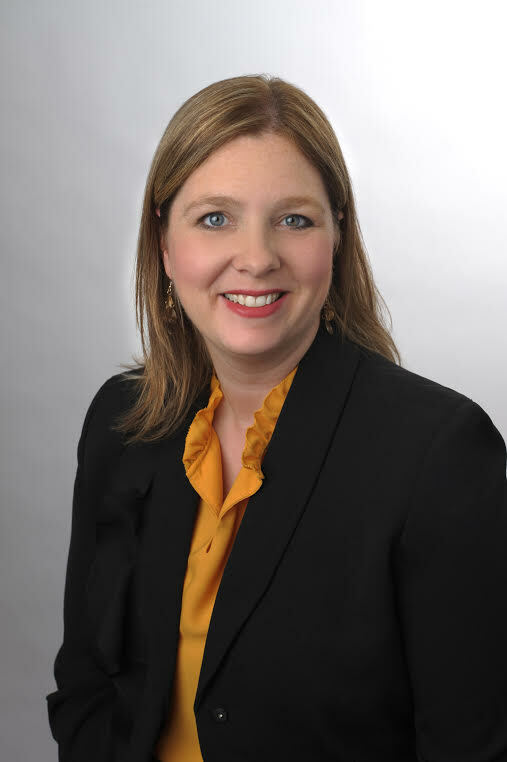 Amanda Goodman from Forney showed up at the polls on the runoff Election Day asking to help. What was special about Amanda was that she had cerebral palsy. 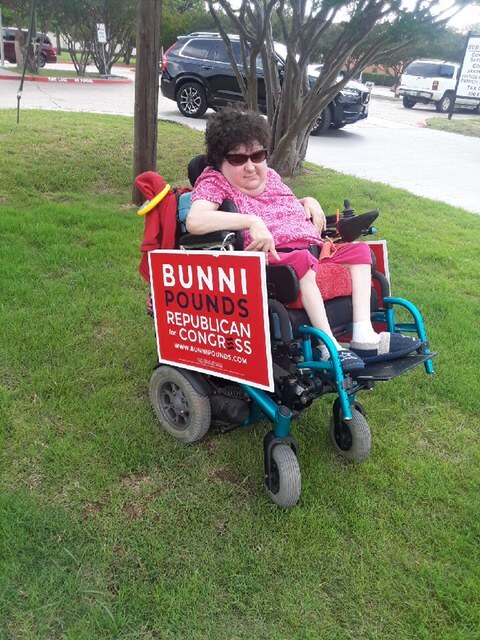 She asked to have two Bunni Pounds signs put on her wheelchair and she said to everyone who passed by- “Please vote for Bunni Pounds.” I never met Amanda but hope to very soon. Who are these beautiful people? The hundreds of volunteers and the thousands of donors who invested a part of their time or treasure into my campaign - they are beautiful people. They said to me everyday by their actions, as I was putting my life on the front lines of the battle, that I was not alone. 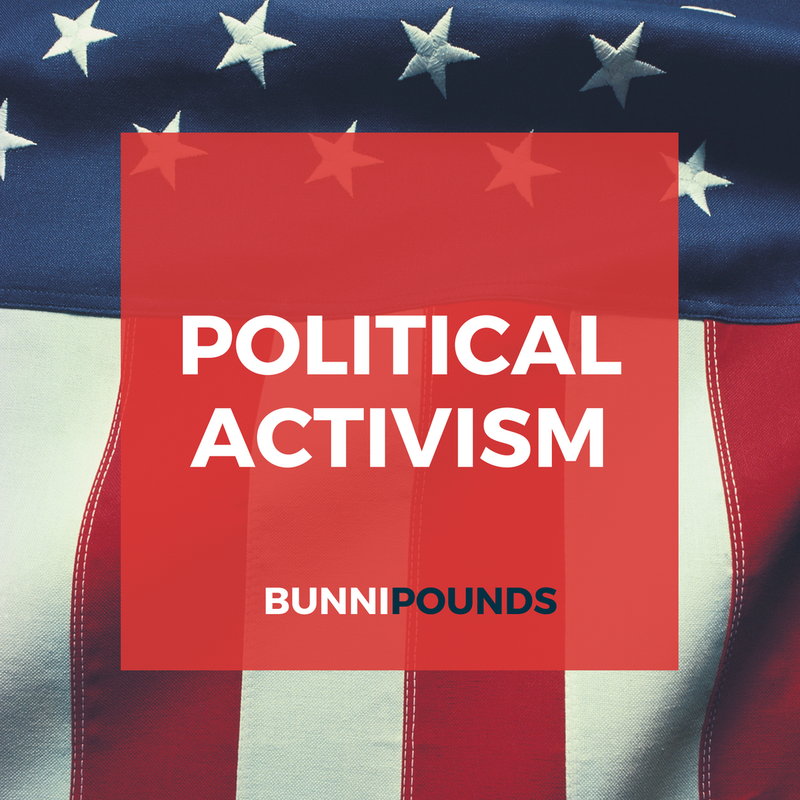 I highly encourage everyone to adopt a candidate or an issue and make a difference through political activism. When we connect, when we invest a couple hours of our time, or when we donate $25 or $100 into a candidate or cause, we move to being the answer to our own prayers. If you do it, you might just get hooked like Pastor Ron Rose. #3 - Connect Somewhere and Let your Voice be Heard. Around three weeks after my loss, I showed up where I belonged at the Republican State Convention. I have been a delegate to the Texas GOP Convention every two years since 2004. 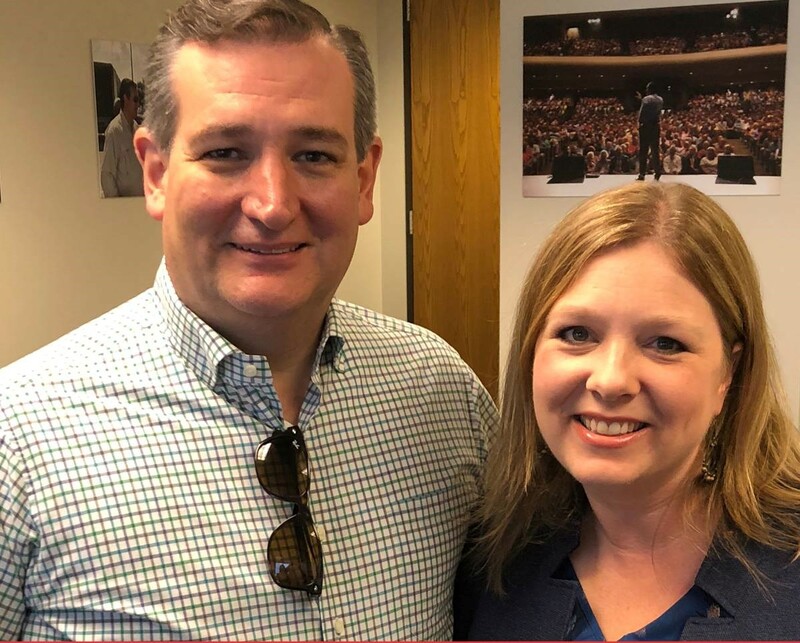 Besides my real family and my church, I have found life-long relationships within the Republican Party as we have sweated and worked together. When I was walking into the convention, I was walking among my family. I was shocked at how many people said, “I can’t believe you are here after what you just went through,” “Good for you for being here, proud of you,” “So glad you are still a part of us”. To be honest, I hadn’t even thought about not going and I found so much healing for my soul in the midst of my people- the grassroots of our party. 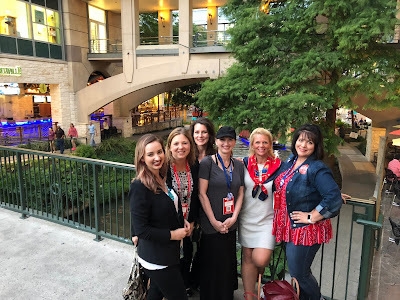 When you connect with a candidate, a political party, a grassroots organization like Texas Eagle Forum, an interest group focused on a single issue like Texas Right to Life, or a political club in your neighborhood - you will find an educational experience, a cause and a mission, but you will also find friendship. Friends make work so much more fun! When you are hanging out with like-minded folks, you find community in the midst of mission. I want to encourage everyone who will take the step toward political activism to connect somewhere. You will not be disappointed at the results. Again if we move beyond hundreds of people to thousands of people getting engaged - we can change the world. So prayer produces action. Action produces sometimes trials and persecution. Then we have to overcome and learn to walk in peace and joy in the midst of being on the front lines of a battle. That is the part of action that we normally want to avoid, but it is where we truly become strong people and where we discover who we really are. We will talk about all of that in Part 3. Stay tuned - one more part of this series.